You’ll have to look closely, but Nebraska football will have a new detail on its uniform for 2018. 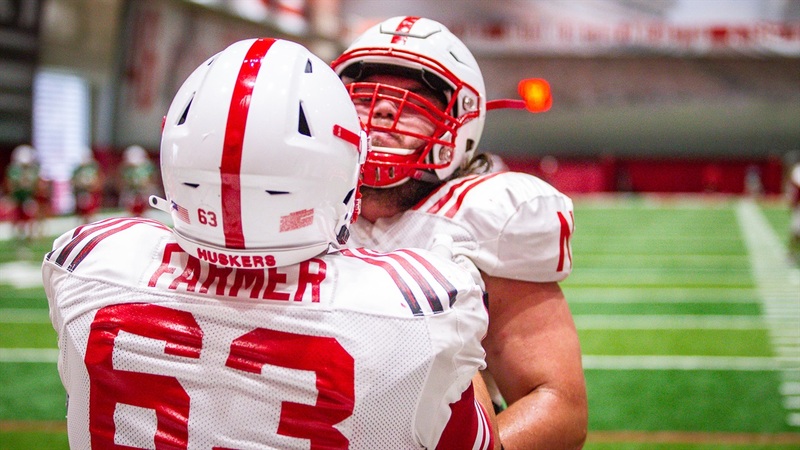 Carrying over what became something of a tradition in two years at UCF, it looks like the Husker helmets this year will feature the area code of each player’s choosing on the bumper above the facemask. UCF debuted that look in November of 2016 ahead of its rivalry game against South Florida. A year later, the Knights took it to even another level of personalization providing each player with a custom helmet logo that included a photo of the player within the school’s logo. At the start of the fall camp Frost was still uncertain if he would bring the area code look to Nebraska. The team has apparently decided. Back in the blogging days, a fellow writer and I, both being 308ers so to speak, would talk about the players from our end of the state “repping the 308” all the time. That was long before it would actually appear on the helmets, so I'm not at all surprised to hear Frost say it meant a lot to the players at UCF. That kind of pride is sort of inherently there. Pretty sure the fans will love it, too. I wrote yesterday about how much I enjoy listening to Terry Bowden talk about college football. He didn't disappoint in his appearance with Chris Schmidt on Hail Varsity Radio on Wednesday. Bowden also spoke about the 1993 season, his first at Auburn. The undefeated Tigers were banned from playing in a bowl, and the national championship that season, of course, featured Nebraska against Terry's father, Bobby Bowden, and Florida State. Check out the full show for his comments on that. Wisconsin is No. 1 on this list of three overrated teams for 2018. SportsCenter had a quick segment on Scott Frost last night. Here's a composite preseason top 25 as the season gets underway in earnest tonight. ICYMI: Verduzco on the QBs, Osborne on Frost, Gebbia to Oregon State, a weekly preview of high school football and yesterday's practice report.